Park N Fly has extended the expiry date on the SPRING/SUMMER coupons. They are now valid until DECEMBER 15, 2018. You can continue to pass on your agency’s preferred airport parking rates to your clients. Please continue to distribute these coupons to your clients until the new fall/winter coupons arrive. 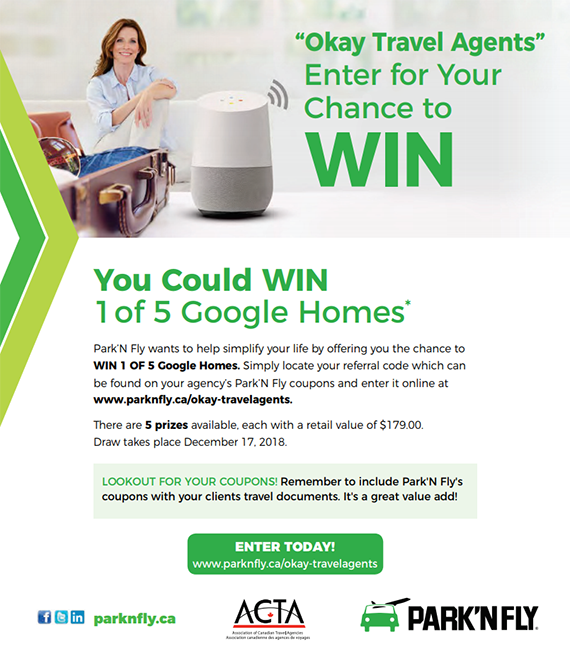 Park'N Fly's new FALL/WINTER coupons will be arriving in early November.